WINSTON-SALEM, NC (Thursday, August 30) - The 2018 road slate closed in inauspicious fashion for the Salem Red Sox Thursday night, as they endured a 13-0 pounding at the hands of the Winston-Salem Dash at BB&T Ballpark. The Red Sox (30-35, 62-71) gave up their seventh grand slam of the year, setting a new single-season record for the franchise. The Dash (40-24, 81-53) earned an 11-10 victory in the season series between the clubs, going 10-14 with runners in scoring position. The Sox closed the road slate with a 28-38 record away from Haley Toyota Field. The Dash opened the scoring in the bottom of the first against Salem righty Kevin McAvoy (L, 1-5), who surrendered a leadoff double to Nick Madrigal before Luis Robert singled to put runners at the corners. Luis Gonzalez singled home Madrigal, with Robert reaching third on the hit. Yermin Mercedes kept the train rolling with an RBI single of his own, scoring Robert and moving Gonzalez to third. Gavin Sheets hit into a 4-6-3 double play, but Gonzalez scored to give the Dash a 3-0 lead. Winston-Salem exploded in the bottom of the third. Robert doubled with one away to reach scoring position. With Gonzalez at the plate, Robert swiped third, and came home when Josh Tobias was late getting over to receive catcher Nick Sciortino's throw, and the ball rolled into left field. Gonzalez worked a walk, and advanced to second when Mercedes bounced out back to McAvoy. A walk to Sheets and a plunking of Ti'Quan Forbes loaded the bases, and Laz Rivera pummeled a fastball over the wall in left field for a grand slam, making it an 8-0 ballgame. The Dash tacked on a pair in the bottom of the fourth inning. With two outs, Robert doubled, and came in on a triple to right by Gonzalez. Mercedes then singled, plating Gonzalez and running the lead to 10-0. Winston-Salem knocked home a couple more runs in the bottom of the sixth against Salem reliever Joan Martinez, who plunked Robert with one away before Gonzalez and Mercedes singled to load the bases. Consecutive singles by Sheets and Forbes brought home Robert and Gonzalez, and it took a strikeout by Martinez and a fielder's choice induced by new reliever Austin Glorius to get out of the inning without further damage. When the dust had cleared, Salem trailed 12-0. The Dash added a grace note in the eighth inning, when Glorius walked pinch hitter Daniel Gonzalez with one out before being lifted due to an injury. Infielder Nick Lovullo took over, and got pinch hitter Nolan Brown to fly out, but gave up consecutive singles to Rivera and Remillard to bring in Daniel Gonzalez and give the Dash their final 13-0 lead. McAvoy was touched up for 10 runs on nine hits and two walks in four innings, fanning three batters; the 10 runs represented a career-worst and tied the Red Sox-era record. Joan Martinez surrendered two runs on four hits and a walk while whiffing three in 1.2 frames. Glorius allowed a run on one hit and one walk in 1.2 innings of relief, fanning three for Salem. Lovullo gave up two hits and recorded two outs. 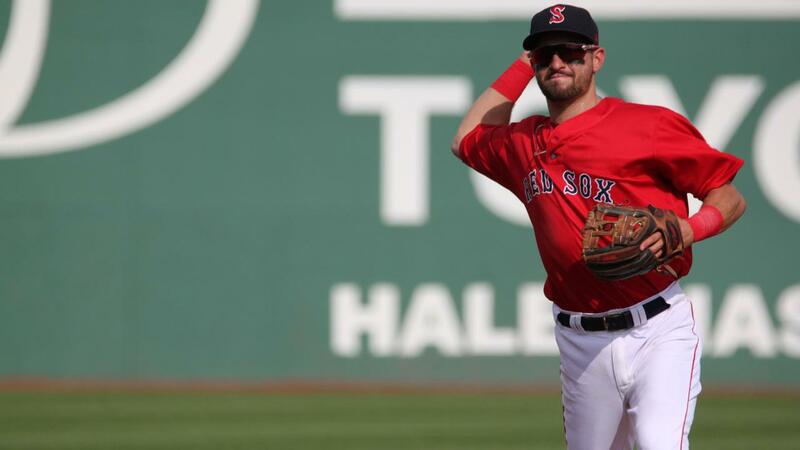 The Sox will open their final series of the season at home Friday night as they take on the division-leading Lynchburg Hillcats. Right-hander Jake Thompson will make the start for Salem against Lynchburg righty Justin Garza. First pitch from Haley Toyota Field is scheduled for 7:05 p.m., and the pregame show with Ben Gellman and Suzie Cool begins at 6:45 p.m. on the Red Sox broadcast network.